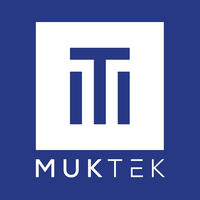 MUKTEK Academy is led by experienced software development professionals and former instructors of The Iron Yard and Galvanize coding bootcamps. Students will have the opportunity to receive career advice and job search help from skilled mentors throughout the course. Prospective students do not need programming experience, and applicants can fill out a short online form expressing their interest. 12 months financing, no interests while studying. Serás capaz de crear un layout básico de una página de internet responsivo (i.e. que se vea bien en muchos tamaños de pantalla). 4 Saturdays, Next Start: March 23rd Serás capaz de manipular bases de datos utilizando sintaxis de MySQL. Podrás hacer queries y manipular tablas de datos relacionales para lograr lo que quieres en tus análisis de cantidades grandes de información. 95% Scholarship Available for 5 students each cohort. 20% Scholarship Available for Women and International Students. Studying at Muktek has generated a great change in my life, they helped me to acquire the technical knowledge necessary to perform as a professional developer and in addition to this, they are concerned with developing their students in all aspects, all of this with soft skills sessions, IT area speakers and a full week dedicated to planning and complementing your career. The teachers and all the staff are concerned about teaching the necessary knowledge, they are always willing to help. The community is very strong, there are always events in which the entire muktek community is involved, ex-students, teachers and administrative staff. In Muktek you can find a great academy that will allow you to have an incredible professional and human growth. I'm a MUKTEK Academy alumnus, and I'd like to say that my experience with this Bootcamp was really good. Honestly, I learned a lot just within a few weeks. It was a really big challenge, and I had to "sacrifice" a lot of things such as my old job and my social life during that time, but it was totally worth since I'm sure it was a great investment. Besides that, I really appreciate the fact that now I feel like I need to keep learning a bunch of new stuff, and having that kind of motivation is really good. On the other hand, my classmates and I went through a lot, but the community we created and nourished let us collaborate and support each other in order for us to keep going and never giving up. As a MUKTEK Academy's alumnus, I must say that the learning process after the Bootcamp keeps on going, and they've been really helpful with that. Cesar, a student of MUKTEK, writes to you. I had not taken programming classes before, and now I am a graduate of intensive face-to-face bootcamp (very intensive!). I will call "MUKTEK Experience" to which I am going to talk about, and "MUKTEK Ecosystem" to each and every one of the components that you will have available to become Full-Stack Web Developer Jr.
1. 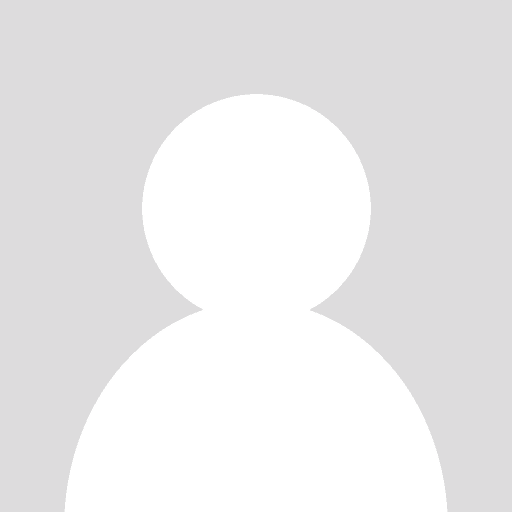 Expert Instructor, Web Developer Mr. In fact, you can ask him anything about programming and so far he has not left an unsolved question (and we have tried very hard questions !!!). 2. Instructor Assistant. It helps us during the exercises and homework, for any questions you may have. So, we can say that from the beginning you have 2 teachers. 3. Mentors. They are expert developers. At the same time carry out their careers, they have time to mentor you during the time you are in the bootcamp. They also solve doubts, explain topics and tell you about their projects. (Now the sum of teachers rises to at least 3 or 4). 4. Speakers. This part is great! You will have a guest every week, coming from the world of technology, each time someone different, who will expandos your horizon about what is out there in the real world of technology. They give very good recommendations to apply to your professional career as a developer. 5. Soft Skills. They teach social skills and techniques to facilitate social interaction in the professional world. They are teachings beyond the technical. Skills to learn that could sometimes put us down if we do not know how to do them properly, no matter how technically skilled we are. 6. Towards the end of the course, we lived the "Career Week", which is also part of the bootcamp and is an extra preparation to get a job. 7. In addition to the above, there is something extraordinary ... right here they help you to get a job. So you have all the pieces: technical preparation, professional preparation, personal preparation, many teachers, a very friendly staff. All this list makes up the MUKTEK Ecosystem to which you will have access and which (in addition!) Is complemented by a community of mentors and alumni that will support you during the time of life that you decide to devote to being a Developer. The educational level is so intense that it literally transforms your brain into new skills and new perspectives. Now, I feel ready to start my career as a developer. Thanks MUKTEK! I learned to program several years ago in a self-taught way. I entered Muktek Academy's BootCamp, with the objective of updating my knowledge, mainly in the FrontEnd area. For me it was a very satisfying experience that exceeded my expectations. In addition to consolidating and expanding my knowledge, I found a more thorough support group and a better understanding of the industry. Each day you learn something new and you practice it immediately, with the help of teachers, tutors and also other students. You also receive conferences from successful CEOs and programmers who share their experience and provide good recommendations. You also receive advice on how to improve your curriculum and online presence, which I had neglected, and this helps you to get known and get better opportunities. I’ve finished the bootcamp and feel that I am ready to develop any application with modern technologies; I feel ready for new challenges. Now, after graduation, I count with the support of the community, that seems very interesting to me because it becomes a learning experience and permanent support system. As a self-taught person, I would have saved a lot of time learning this way before. That's why I highly recommend it to anyone who wants to learn how to program and is willing to take on the challenge of an intensive learning rhythm for three months and change their lives. - Mentoring by alumni and professional developers. - Visits to companies like BBVA Bancomer and Wizeline. Muktek is not only an academy in programming but also an enriching experience that will motivate you and help you to grow as a professional in the software industry thanks to its instructors, mentors and a whole community that continues growing. It is a very good and complete experience talking about the professional preparation you receive. From the instructors, since it is clearly noted that they dominate the topics and that they have good experience teaching which makes it easier to learn the topics and understand them conscientiously. The silabus includes technologies and good practices that are really important and necessary in the real world. It's like coming out with 3 years of experience. In addition, Teacher Assistance is a great help along the way, so you will never be lost. While this method is true, it requires great effort. Muktek and his community make it a harmonious path full of support, from mentors to alumni. Something very important are soft skills, skills that are not related to programming but are necessary to relate and achieve fundamental interpersonal goals to advance in life. It is a complete preparation, the Bootcamp in Muktek is an excellent decision that marks a positive before and after in the life of those who decide to take it. The experience for almost 4 months was incredible, the staff was always concerned about the progress of the students. Personally exceeded my expectations to realize that the technologies learned during the bootcamp are the most demanded in the area of web development, plus you learn to master these technologies. From the beginning being organized, having goals, and fulfilling our goals, were essential throughout the bootcamp. The teacher was always aware of our progress, Our teacher assistant always gave us his advice to fulfill our tasks. We also had mentors who guided us on the path of learning. Every Friday, Muktek organized a talk with a character involved in the industry, Richard Kaufman @sparragus, Obie Fernandez @obie, jose grandson @ xiam. They were some of those who visited us in Muktek. In general it was a great experience to be there, I get great friendships, a lot of knowledge, techniques of human and professional development. Of course I would repeat it again. I am a recent graduate from Muktek Academy, and what I can say about this program is that it was a great experience both in my professional and personal life. I studied engineering in information technologies and communications, and taking this bootcamp has been an excellent complement to my studies, the truth is that it is very intense weeks due to the complexity of the curriculum, however during all this time you are not alone, and you can consult both the instructor and the mentors who are connected all the time in case you have doubts and are very good and patient explaining. From the first moment you enter a great collaborative environment, where you can consult everyone. In addition to teaching current technologies another of the key points we were taught is logic behind programming, to learn to code following good practices, how to solve errors, among others, and I think that give you the confidence to continue learning new technologies. Another point that I would like to mention is Career Week, which in my case as a beginner in job searching, I learned several tips to apply at the time of the interviews and that gave me more confidence at the time of presenting myself in the real ones. Also, It is worth mentioning the final project, which at the time of the presentation gave me great satisfaction to see how something that you created from scratch works. Personally I was satisfied with this bootcamp because of everything I learned, the people I had the opportunity to meet, the follow-up they give you even after finishing the bootcamp, the habit of helping others and making a effort to continue learning. An email with these details has been sent to MUKTEK Academy. You've already applied to this scholarship with MUKTEK Academy.